The Hornby R3064 RailRoad BR Smokey Joe 00 Gauge Steam Locomotive has an attractive detail that comes with BR original livery. Indeed, this locomotive is pre-built and ready for use on a 00 gauge model railway set. Besides, this is a perfect entry-level train for use in railway modelling. 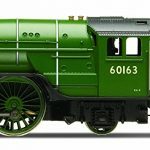 Impressively, this locomotive is ideal for keen modellers or beginners and can suit individuals of any age. It perfectly complements the variety of locomotives, track, rolling stocks, accessories and buildings that are available in the Hornby catalogue. Again, this locomotive can only be suitable for use with analogue train layouts and cannot function in the DCC compatible layouts. Moreover, the engine of the locomotive is designed to only run on two rail tracks. What is the sentiment amongst other buyers and owners? Customers who have purchased this locomotive attest that the starter loco is highly recommended for both professionals and beginners as it can easily be re-detailed or repainted. Customers who have purchased the Hornby R3064 RailRoad BR Smokey Joe 00 Gauge Steam Locomotive acknowledge that it is a good buy if you intend to gift someone you love. It is highly recommended to those who have model railway interests. Moreover, the locomotive has an excellent performance on the track due to its impeccable detail close up which enables it to run on the track smoothly. Okay, what are some key features? Impressively, this locomotive has a die-cast plastic engine with 0-4-0 wheel configuration to enable it to withstand gentle knocks. It has 18.4 x 10.2 x 6 cm dimensions and weighs 200 g. The locomotive comes complete and does not require any assembling. It has an electric engine and does not require a battery. Furthermore, this locomotive has a scale of 1:76, and uses standard hook and bar type couplings which enable it to operate with standard Hornby stock seamlessly. 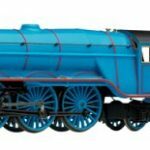 The railroad models are all fitted with standard Hornby hook and bar type couplings which easily couple the rolling stock and locomotives in both Thomas & Friends and the standard Hornby ranges. Hence, all models that constitute the Hornby RailRoad range are a cost-effective means of adding to a train set offering an appropriate entry point into the different world of model railways. The Hornby R3064 RailRoad BR Smokey Joe 00 Gauge Steam Locomotive offers an exciting array of steam locomotives with varied rolling stock and full train packs that will enable you to expand or start your model railway. 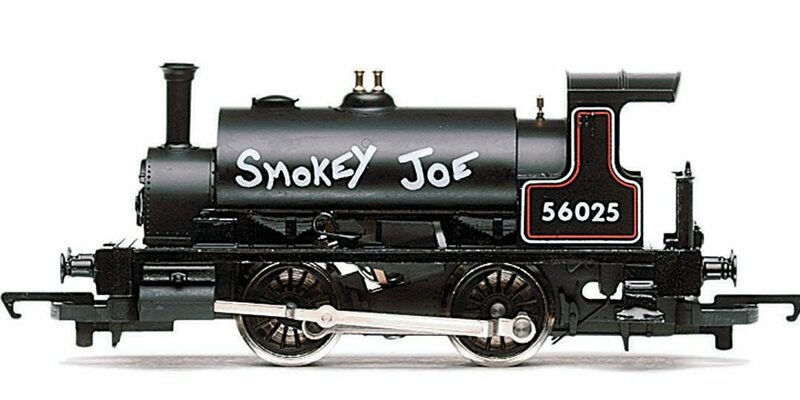 If you are considering a locomotive model for yourself or gifting someone, then the Hornby R3064 RailRoad BR Smokey Joe 00 Gauge Steam is highly recommended. Its quality has become the main reason why customers prefer to use it. Besides, the Hornby R3064 RailRoad BR Smokey Joe 00 Gauge Steam Locomotive comes ready for use and will not stress you with any assembly work.